Is 100 Percent Stocks Good for Younger Investors? Why Should I Care About Investment Risk If I’m Young? Last December I put out a shout out on one of my favorite personal finance forums, Yakezie, for Investment questions from the community. I was bowled over by the windfall of great questions. Many of the previous answers to investment questions, revolved around risk tolerance and investing in stocks versus bonds. Learn how an all stock portfolio’s returns really compare with a stock and bond allocation. Should I Have An All Stock Portfolio? 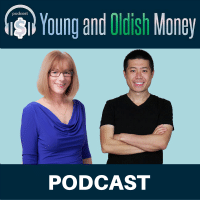 Emily, author of the Evolving Personal Finance blog understands that historically stocks have returned more than bonds. Look at this graph of investment returns for the previous 85 years. Taking this graph in isolation, one would think it’s a “no brainer” to invest in an all stock portfolio, if you have many years until you’ll need the invested assets. Who can argue with 9.55 percent annual returns? But this graph is deceptive. Hidden within these 85 years are years when stocks returned negative 40 percent and even more. Those stock market drops quantify the true investment risk in an all stock portfolio. Imagine you’re in your late 20’s or early 30’s. 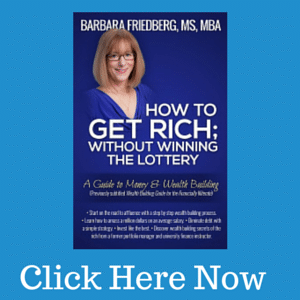 You’ve been investing for a few years and built up an investment portfolio of ten or twenty thousand dollars. Then, one year, your entire investment portfolio loses 40 percent. In real terms, you start with $20,000 and at the end of the year end up with $12,000. How would you feel? Have you ever experienced that type of loss? For another real world example, look at the recent performance of stocks, bonds, and bills. From 2002 to 2011, stocks returned 2.88 percent. That’s not a typo, for 9 years at the beginning of this century, stock market returns averaged below 3 percent. That’s a far cry from their historical 9 percent returns. 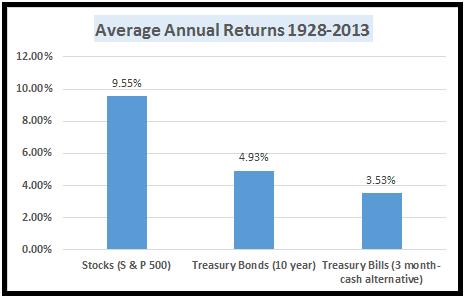 During that same period, both cash and bonds outperformed the return of the overall stock market. Nine years is a long time to be patient. Many investors were frightened and panicked as they saw the dismal growth in their stock investments. And those panicked investors did the wrong thing, they sold their stocks. 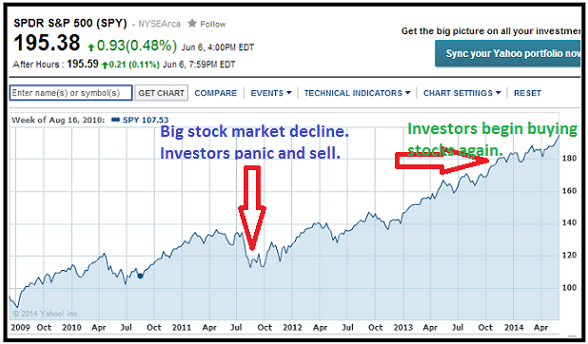 Fear causes many investors to sell at the worst time. There are reams of data that all but a few extremely disciplined investors have a difficult time staying the course in the throws of a bear market. That is why so few investor’s returns actually mirror index returns. Let’s assume you have nerves of steel, are in your 20’s or 30’s, have an all stock portfolio, and won’t bail out of the market after a large decline. How much better will your 100 percent stock portfolio perform than a 60 percent stock: 40 percent bond portfolio? More evidence for a balanced portfolio comes from Robert Brinker, editor of Bob Brinker’s Marketimer advisory service (as discussed in Hulbert’s WSJ article), who cited a 1997 study which looked at returns of all stock versus a balanced portfolio between 1980 and 1997. This study found their returns to be almost identical. Recency, a behavioral finance bias describes a common tendency to consider recent events and assume the recent events will continue into the future. The recency effect plays out when recent stock market gains have been stellar and investors assume they will continue in the same way in the future. An example of this recency bias was in effect at the end of the 1990’s during the technology stock boom. During the late 1990’s it was common to hear pundits proclaiming that the markets are in a new era with higher stock market valuations. These proclamations encouraged more investors to pile into stocks at their peak, only to watch the value of their portfolios tumble downward at the start of the new millennium. The media reports that more and more investors today are moving their money into stocks after waiting on the sidelines for years due to their fears from the stock market declines in 2010 and 2011. At the start of 2012, the SPDR S & P 500 (SPY) ETF (a proxy for the U.S. stock market) sold in the low $120’s. In June, 2014 the SPY tops out at approximately $195. That’s a 62.5 percent return in about 2 1/2 years, without factoring in reinvested dividends. The investors who sat on the sidelines during the last three to four years and get back into the markets now missed the annualized double digit returns over the past several years. How likely is it that the next few years will yield double digit stock market returns? If the 85 year average return of the stock market is about 9 percent and the recent four years garnered double digit returns, the “reversion to the mean” concept suggests returns going forward will likely be less than 9 percent. Think about it, do you think that during the next few years the stock market will continue yielding returns above 10 percent? Why Should I Care About Investing Risk If I’m Young? Regardless of your age, a balanced and diversified index fund portfolio, is better for your mental health. Not only will a diversified portfolio of stock and bond mutual funds be less volatile over time, you won’t sacrifice much in terms of overall long term returns. That said, the future is unknown, and using history to inform the future, is an imperfect approach. Unless you know what the future holds, owning a diversified portfolio of stock and bond index mutual funds will most likely give you a decent long term return with a reasonable amount of volatility. A good benchmark for investing in stocks versus bonds is to subtract your age from 100 and invest the resultant percent in stock investments. If you’re 30 years old; 100 minus 30 equals 70. With this strategy your portfolio is 70 percent invested in stock investments and 30 percent in bond investments. How old are you (feel free to ballpark it) and what’s your allocation between stock and bond investments? I don’t think you should take unnecessary risks even if you are young. You should look at all the asset classes and find the trend and then buy low and sell high. I am in my mid-30’s and am OK with risk. I went to college/grad school for finance so I understand how the stock market works. Because of this, I invest my money in an 80/20 portfolio. I would invest more heavily in stocks, but based on the information I’ve read over the years, the added risk for going 90/10 or 100/0 is more than the gain from a higher return. Because of this, I just stick with an 80/20 portfolio. @Nick-I agree that it’s important to watch out for risk, even when younger. @John-An 80:20 tilt, given your expertise is reasonable. As you’re in your mid 30’s, you should have many years until tapping into your retirement nest egg. @ Barbara – Young people are misguided I think. Many of the youngsters who are just starting out are brainwashed into thinking that taking risks and losing money is just part of investing. These youngsters are oblivious to the power of compounding returns. If a young portfolio loses half it’s value then half the compounding effect is gone. Just thought I share my thoughts on this brill post..
We all should be concerned about investment risk, especially younger investors since the impact could be greater over the long term. 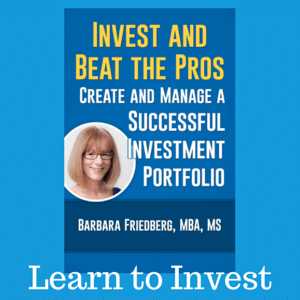 WHile it is not possible to eliminate risk in your portfolio, as you’ve discussed there are strategies to help minimize risk such as dollar cost averaging, diversification amongst asset, and avoiding timing the market. Paul-Those are specific strategies to keep risk at bay, good for all ages! Thanks for repeating those smart investing maxims. > From 2002 to 2011, stocks returned 2.88 percent. Sorry, but on which time periods do you get the 2.88 percent? I realize you are trying to make a valid point about stocks not always being high performers. However, the return (even during the years you quote) highly depends on which months. For example, if we bought the SPY (sp 500 etf) at its close of $80.80 on sep 30, 2002 and sold it for $120.08 at its close on aug 1, 2011 we have a 48.61% increase in value. Therefore, even a few months matter when measuring performance, especially for stocks. I think it is important to mention this. In other words, even if picking the highest price in 2002 and the lowest price in 2011 to compare your returns, a long term investor need only wait a few more months and remeasure. His/her performance would look a lot better than just 2.88 percent in just a few months without having to wait years. We calculated the geo mean or the average rate per period on investments that are compounded over multiple periods. You are absolutely correct that when you buy and sell securities and their prices will determine your own personal rate of return.